While in Arkansas today, Greg and I seized the opportunity to try a new restaurant for a late lunch. Using Siri on my iPhone, who is ever so helpful, we came up with 15 choices for lunch, in the Bentonville area. The proximity of Fayetteville and the University of Arkansas means there are razorback hog symbols and shops everywhere. We chose Whole Hog Cafe, in the spirit of first things and in support of UA’s feisty mascot. You know you are in for a treat when you enter an eating establishment and the tantalizing aromas make your stomach growl. Another hint of goodness to come was the huge assortment of trophies on display, many with golden pigs atop them. 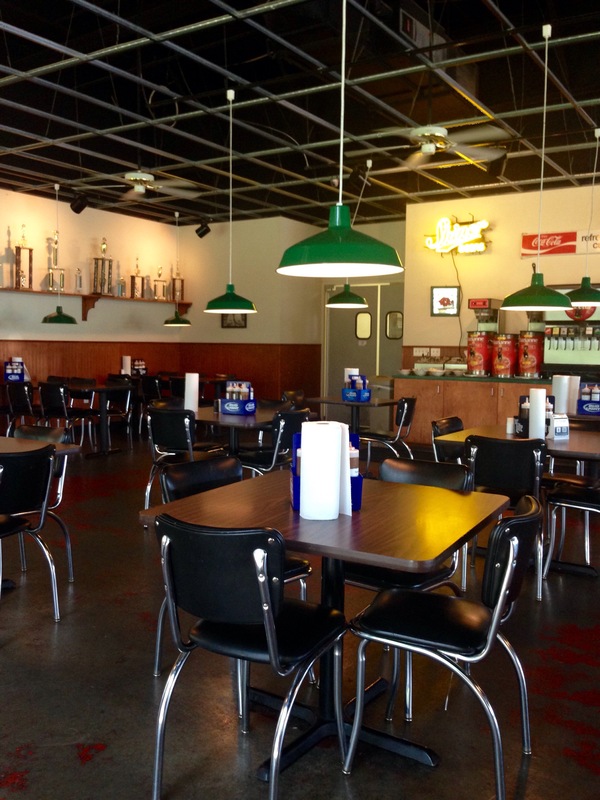 Whole Hog Cafe has won many awards for their barbecue. 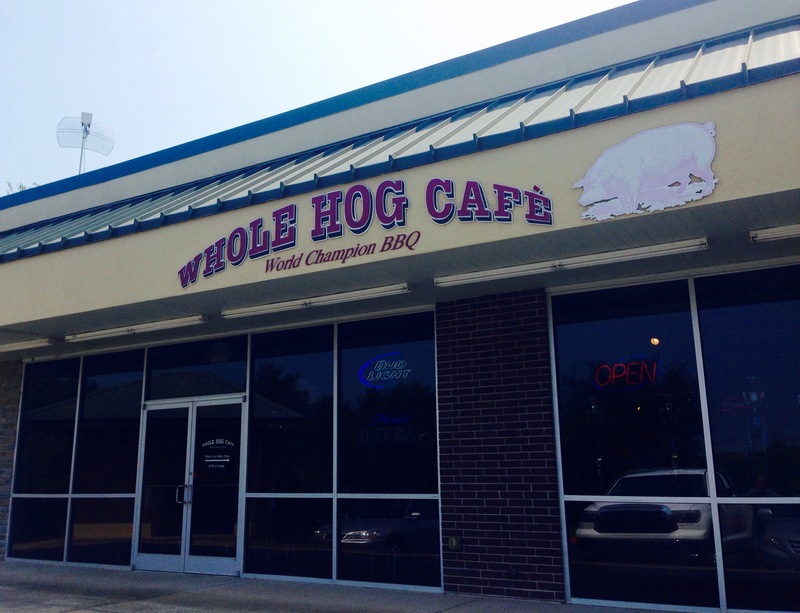 Whole Hog Cafe specializes in smoked ribs and meats such as brisket, pulled pork and pulled chicken. 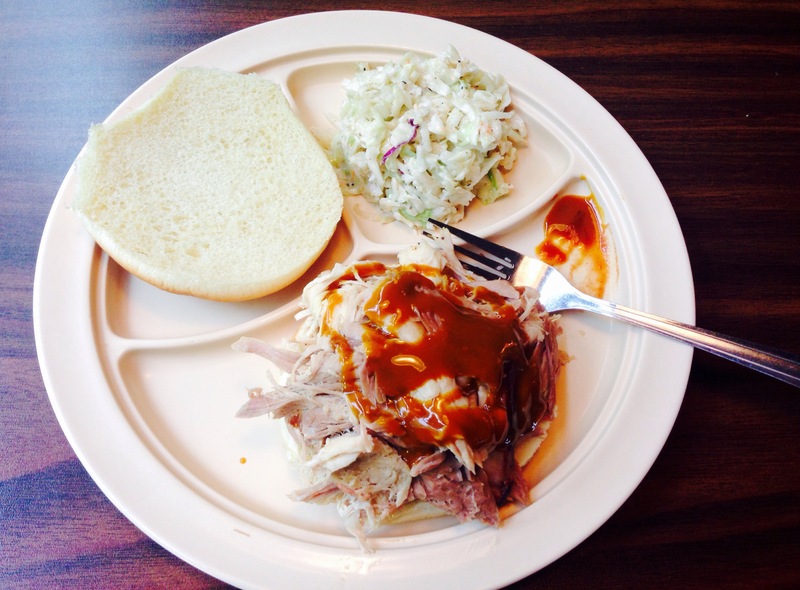 We settled on the pulled pork sandwiches, which came with a side of coleslaw. The atmosphere was casual with rolls of paper towels on the tables. 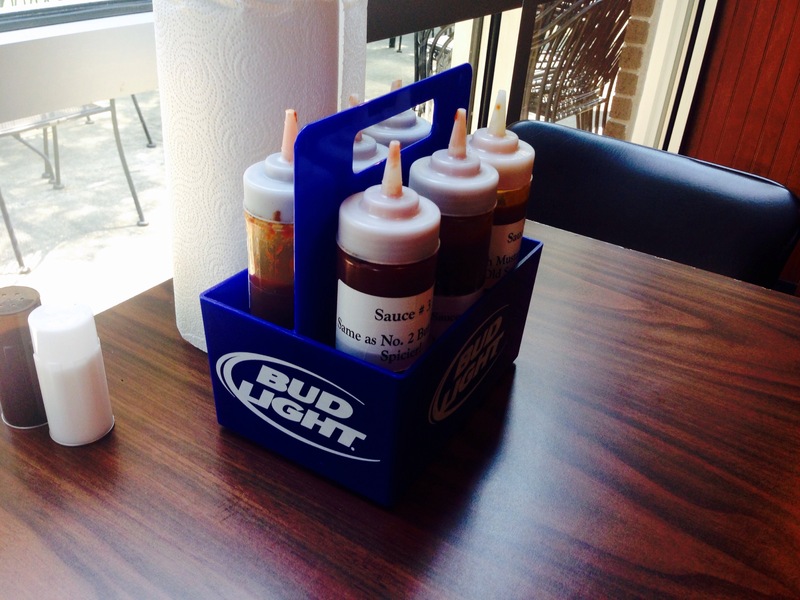 Also present was a six pack-style holder with six different types of homemade barbecue sauce. I decided to be adventurous and sample several before making my selection. There were sweet sauces with molasses, spicy sauces with a kick and a couple with vinegar as one of the main ingredients. 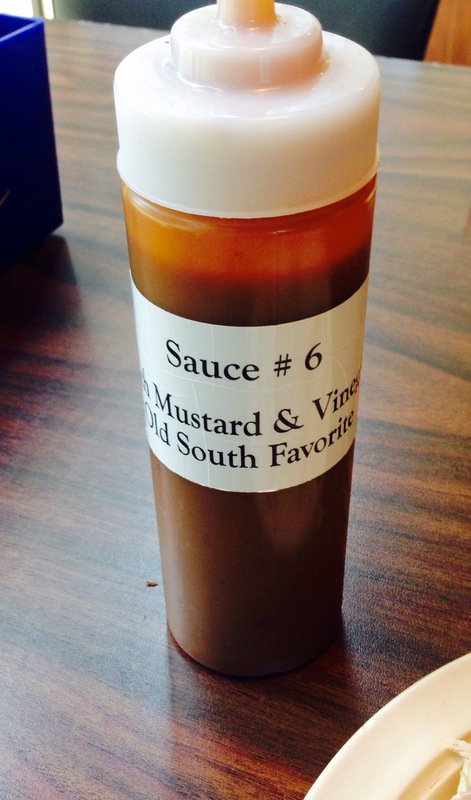 I chose #6, the Mustard & Vinegar sauce, touted as an old south favorite. It was great with my pulled pork and something I had not had before. My sandwich was delicious, the pulled pork tender and flavorful. I didn’t care as much for the coleslaw, which wasn’t sweet at all, but that was personal preference. I ate most of it anyway! I’m not one to shy away from trying a new food, or a familiar food prepared in a new way. A bonus for me was sitting next to huge windows with a beautiful view of leafy trees and an expanse of green grass. Well that, and walking out with a homemade chocolate brownie. Overall, I had a great experience at Whole Hog Cafe, and I would eat there again.